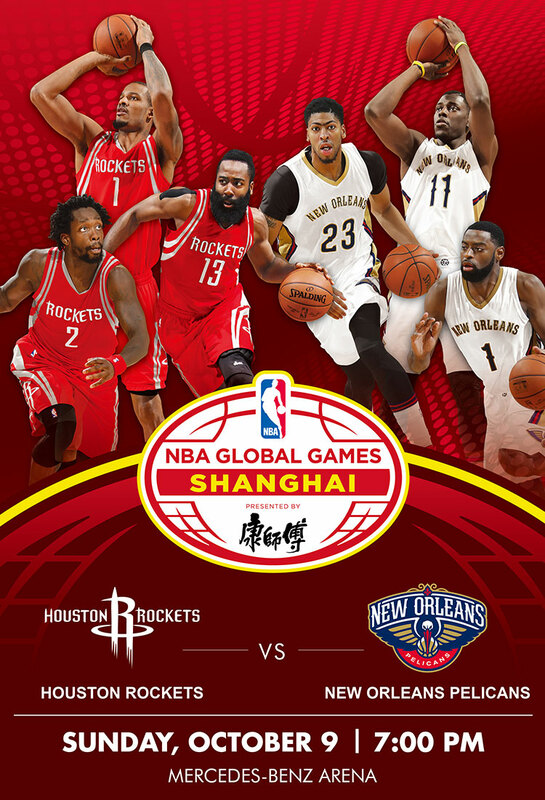 Making their return to Shanghai for the first time since kicking off the NBA Global Games China back in 2004, the Houston Rockets will be taking on the New Orleans Pelicans in a game at the Mercedes-Benz Arena. The Rockets’ roster currently features four-time NBA All-Star and 2012 Olympic gold medalist James Harden, 2011-12 Most Improved Player Ryan Anderson and 2009 NBA Champion Trevor Ariza. The Pelicans’ roster features three-time NBA All-Star and 2012 Olympic gold medalist Anthony Davis, 2016 No. 6 overall draft pick Buddy Hield and 2013 NBA All-Star Jrue Holiday. See these stars in person on the court for their one-off match in Shanghai.